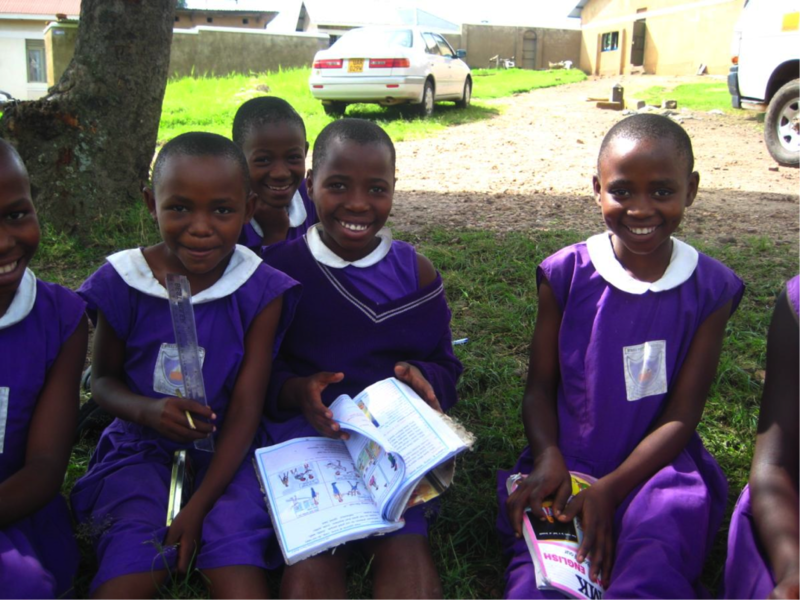 The Nyaka AIDS Orphans Project: YOU are Keeping Girls in School! YOU are Keeping Girls in School! It's been over a month since nearly 300 girls were taken from their school in Nigeria by the militant group, Boko Haram. This group represents one very real enemy of the success and safety of girls in Nigeria and across Africa. When the girls were taken from their school, the world's reaction was strong and visceral. We were repulsed by the idea that children could be robbed of their freedom and their right to build a better life for themselves. Millions of people--and I hope you're one of them--have shown their support for rescuing these girls. Groups like Boko Haram are only powerful when good people are complacent and silent. And I hope you don't stop there. I hope you choose to take a stand through your actions. There is another enemy that threatens the lives and freedom of millions of children every day. There are 130 million children in the world today who are out of school because of poverty. A shocking 70% of these children are girls. According to research done in Uganda through Unicef, "adolescent girls are more likely to drop out of school, marry young, and deal with sexual health issues," making them more at risk to continue in a cycle of poverty. Without parents to support and protect them, girls who have been orphaned by HIV/AIDS are even more vulnerable to sexual exploitation and assault. Just by graduating from primary school, she is already ensuring that she will have more control over her major life decisions. When a girl in the developing world receives seven or more years of education, she marries four years later and has two fewer children. That's good for her, for her community's economy, and for global population control. Not surprisingly, girls who go to school earn more money. They are more likely than boys to reinvest their money into their family (up to 90%! ), which ensures that their parents and children will be taken care of. Girls who go to school send their children to school, ensuring that future generations will have happy, successful lives. There are organizations all around the world who are taking a stand against poverty and injustice to give children and families the opportunity to overcome their circumstances and build better lives for themselves. The Nyaka AIDS Orphans Project is proud to count itself among them. Thanks to YOUR partnership, we can face all of these problems together. YOU provide education, meals, sanitary napkins, and healthcare for girls every day so they can grow up and show the world what amazing things girls can do. YOU empower girls to believe in themselves, give them the knowledge they need to make good choices, and demonstrate every day that they are right where they belong: in school with a book in their hands. If you aren't already a supporter, please join us. Together we can make sure that all of your children have all the tools they need to thrive.